Are you Buying a Home in Calgary With Pets? Posted by Justin Havre on Tuesday, January 29th, 2019 at 8:13am. When you are looking for a house here in the city, you'll have to consider what type of home your beloved dog would like as well. Giving your dog the home of his dreams is important too! Here are a few things to look for when you are shopping around for the perfect home for you and your furry friend. Moving is stressful, and when you move with pets it can be even more stressful for both you and the animals. Calgary is known as one of the most pet-friendly cities in all of North America because of the 150 off-leash dog areas and a number of other reasons. The city has more parts per capita than anywhere else in North America. Here are a few tips to help you move to Calgary with your pets. Did you know you can actually browse Calgary neighbourhoods based on their dog population? With a tool provided by The Calgary Herald (Dog Population Map: http://www.calgaryherald.com/news/dogpopulations/index.html) you can choose the right neighbourhood based on the pet population. Not only can you see how many dogs live in the area, but you can also see how large and what type of dogs live there. Calgary requires every pet in the city be licensed. It's $36 for dogs and $15 for cats. You can find out more information about what you will need to get your pet licensed at, http://www.calgary.ca/CSPS/ABS/Pages/Animal-Services/Licensing-cat-dog.aspx. Moving to Calgary could mean a huge climate change for your pet. If you're coming from an area of the world that doesn't experience much cold weather, you will need to prepare your pets for the cold. Acclimate your pets slowly with shorter walks outside before letting them spend large amounts of time out in the cold. Coyotes are also found in Calgary and you do need to beware of them. This isn't a serious problem, but it is something to understand. From April to June, Coyotes are in denning season and you may want to keep your pet on a leash regardless of where you are at. September to October is another time when you may want to do this because the younger coyotes are leaving the pack. Use these tips to help your pets adjust to the new surrounding after you move. Understanding how pets fit into your new city can certainly help make the move a success. Keep in mind the size of the backyard your friend will need to keep him running and healthy. Some dogs will need a larger running space than others will, depending on their size. 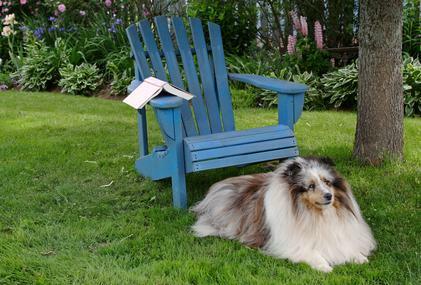 Older dogs, for example, may not need quite as big a backyard as a young puppy would. You'll also want to keep their energy resources in mind. Some dogs run around in circles endlessly and will need a big yard to zoom full speed ahead. Other dogs have no problem just meandering around a garden a few times before finding a spot in the shade to relax for a few hours. You may have a young, playful puppy that will, most likely, be running and skidding around your home and need some room for acceleration. If you're planning on moving into a condo or a house, make sure that it has more of an open concept to accommodate your pet. You won't want to be tripping over him at every turn. You may also want to set up a special area for a doggy bed and some toys. Dogs seem to have a way of squeezing into extremely tight spaces so you'll want to watch the slats on the fence in the backyard. If the fence is wooden and your dog is small it may be able to sneak through the slats or underneath the fence to go over to the neighbours for a visit. In most cases a chain-link fence is best for extremely small dogs. How Big Should Your Dog's Doghouse Be? Although you can build or buy the biggest, most extravagant doghouse for your pet, they are often happier with something a bit smaller. A doghouse built for your dog’s exact size and warmth needs can give them the best protection from the elements. To determine the size of doghouse your dog needs, you will need to look at several key factors. To find the ideal width and length measurements, you can add six inches to your dog’s exact measurement from nose to flank. The height of the doghouse, on the other hand, should match the height of your dog from the ground to the top of the head when held high. Dogs need a door height that is at least 3/4s of your pet’s height from the top of the shoulder to the ground. The limited door space helps to improve heat retention of the doghouse without impacting accessibility. With these measurements in hand, you can find a doghouse that will best suit the needs of your dog all through the year. When you take the time to find or build the perfect doghouse, it will provide protection from the elements to the great benefit of your furry friend. Dogs can become a part of the family pretty quickly! If you're looking for a home that will make every member in the family happy, remember your dog's needs and wants too. After all, doesn't he deserve it?